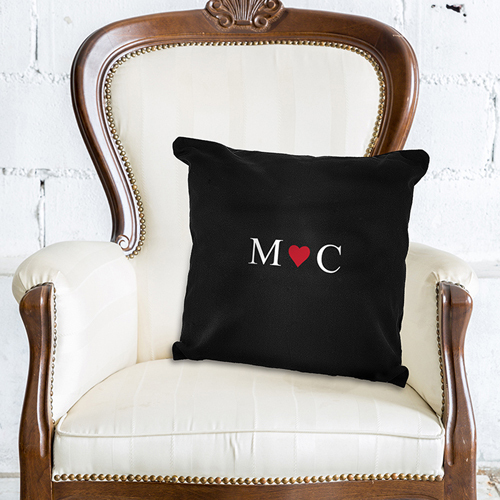 You can personalise this cushion cover with 2 initials. The heart motif is a fixed part of the design. All personalisation will appear in UPPERCASE.